So: you will not find all the answers here. 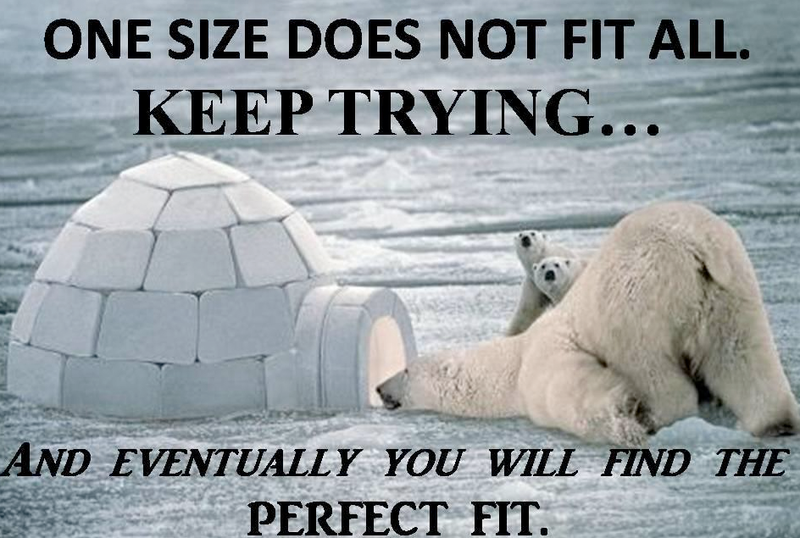 Be creative and find different ideas. Discuss with the child and the family first: do not give people equipment because you think it is needed. Make sure the family wants to use it. Children grow, so the equipment should grow with them. The chair does not support him enough: not helping to keep his head up, the knees are “falling” side-wards, the arms are turned inwards. This girl could sit independently; just needed a chair so she could put her feet on the floor; no need for a special chair. A doctor was doing research on the causes of disability in children. He was meeting a lot of children with Cerebral Palsy and their families. The children were usually lying on a mattress and did not have any assistive devices. The doctors wrote a project proposal for an Embassy in order to be able to provide all these children with special chairs specifically designed for Cerebral Palsy. He was granted the money and had the chairs made by a local carpenter. He then gave the chairs to the families and asked them to have the child sit in the chair because that is much better for the development of the child. After three years the doctor wanted to know what had been the impact of these chairs on the development of the children and their families so he visited all families again. He found that 95% of the chairs were not being used. The children could not sit comfortably in the chairs because they were not ‘custom made’. If a chair is not comfortable, nobody wants to sit on such a chair for hours. The chairs were often too big for the small family rooms. The doctor thought this would help the family but he did not discuss with the family about their needs and their priorities. Here is a picture of assistive chairs being distributed, a 'one size fits all.' This is still done in many countries today. 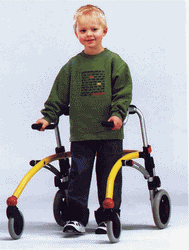 You can find many ideas for assistive devices for children with cerebral palsy. One of the books to get ideas from is: Disabled Village Children Some of the chapters are listed below in additional resources. 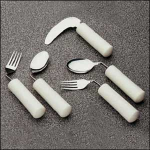 Here are some ideas of different assistive devices from eating to walking. Deep bowls can make it easier to get food onto a spoon Cups with cut outs can allow for easier drinking as the child does not have to extend their neck as much. Adaptive cutulrey makes it easier to hold and use. 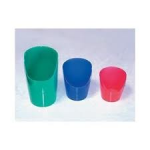 Cups with handles and lids make it easier to handle and avoid spilages if there is difficulty with motor control. There are two types of walkers for paediatric use: anterior walker and the posterior or reverse walker. The posterior walker in the majority of children with CP is the most appropriate as it provides the best gait pattern and is less energy consuming. Standard anterior walkers lead to increased weight bearing on the walker and increased hip flexion during gait. Choose them only in cases where extensor spasticity predominates. Children with spastic diplegia have problems with posterior balance and tend to fall backwards. In this case, prescribe a walker. 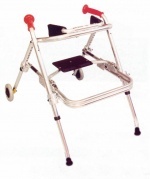 The child who walks very slowly in a high guard position and falls backwards after a few steps will benefit from a posterior walker as an aid to improve his balance.